I should make it clear that one of my core beliefs is that people are at their best when they are relaxed. We communicate better, we learn better and we enjoy life more when we are relaxed. Therefore I have gone out of my way to make your Experience relaxing and fun, as well as a life-transforming experience. 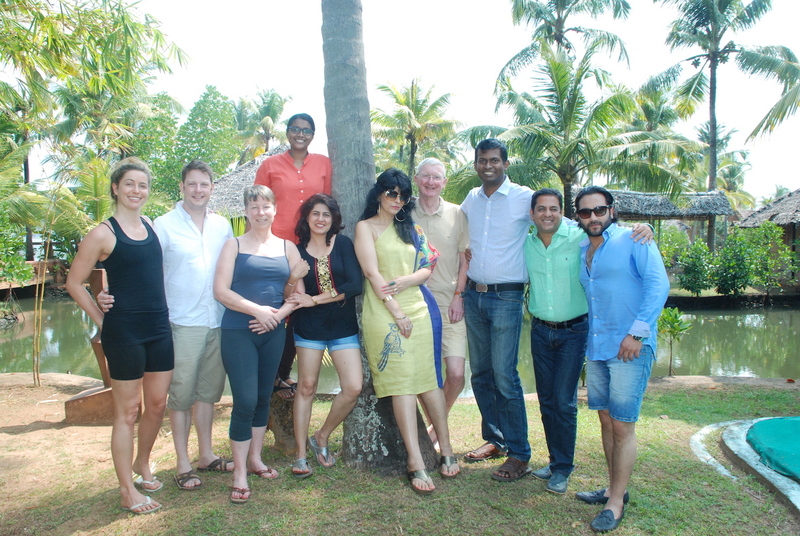 The Camp will be conducted in the beautiful surroundings of Cherai Beach Resorts in Kerala. The start time/date for the first session is 09.00 hrs on Sunday 11th February 2018. We normally fly out of Gatwick on the Emirates flight that departs at 13.35. We will leave on Friday 9th February. This flight, including a 2-hour stopover in Dubai arrives in Kochi at 08.05 on Saturday 10th February. We then have a chill-out day on Saturday before starting the workshop on Sunday. The cost of the return flight Gatwick/Kochi/Gatwick is about £525.00. Flexi flights can save about £150.00. Transfer times from Kochi airport to Cherai Beach Resorts is about 1 hour. You get 7 days tuition 09.00 to 17.00. However, that does NOT mean 8 hours in the classroom watching PowerPoints. (In fact there will be NO PowerPoints – sorry!) The work is done with short explanation talks, group discussions, delegate coaches delegate and feedback sessions. Much of it outdoors in the lovely palm tree shaded lawns of the Resort, on the adjacent beach, or around the pool. The emphasis is on doing what is natural for you based on the firm belief that you will only succeed in creating the life you want supported by a good regular income if you can do what you have to do in ways that are natural and comfortable for you. We also include a day with Swami Ramakrishna at his ashram. 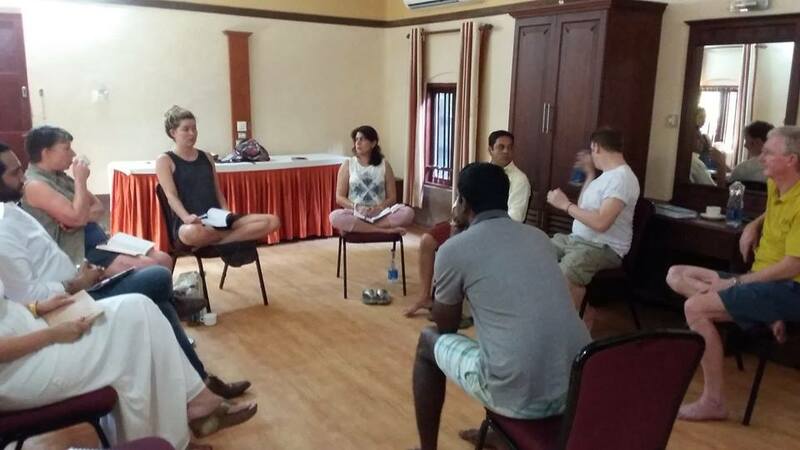 During the visit we have a talk by the Swami about traditional Ayurvedic medicine and a pulse reading by the Swami who is a trained Ayurvedic doctor. The photo left shows a previous group relaxing during the heat of the day after the Swami had cooked us a delicious lunch. The Swami not only cooks the food but he also serves it himself. A true lesson in humility. 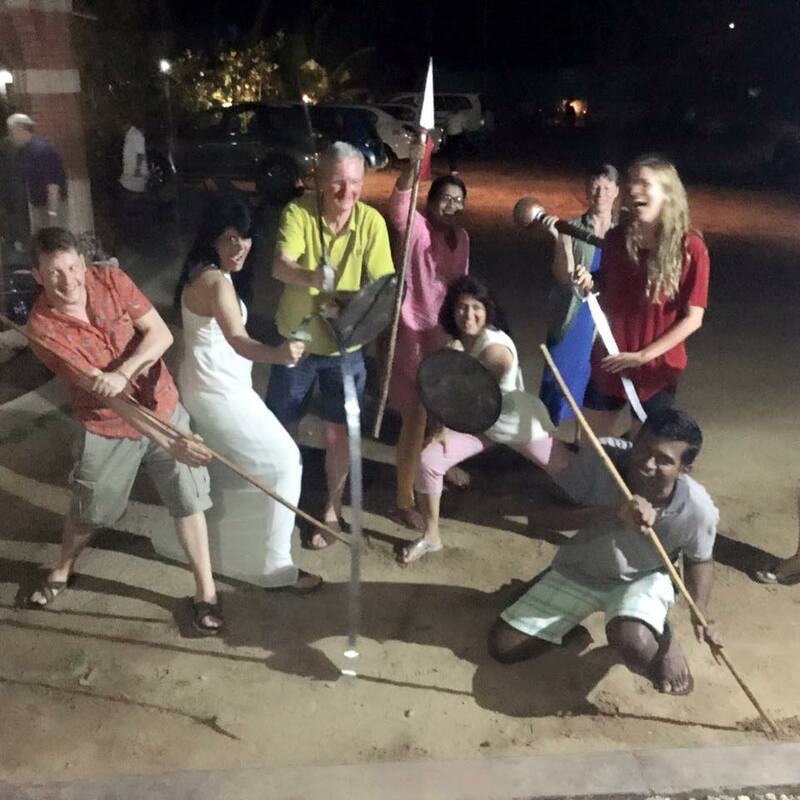 One evening we usually manage to arrange a demonstration of traditional Kerala martial arts. Quite apart from the manual dexterity of the fighters their athletic ability has to be seen to be believed. We also plan to round off our day at the ashram with a boat trip up the Periyar river where you can view Chinese fishing nets in action – see photo below. Transfers from the airport to the resort- about £10.00 each way. Meals. It is recommended that you book your hotel on a Bed and Breakfast only basis. We usually eat out as a group in the evenings. The cost of a first class Indian evening meal will be about £7.00. A budget of £15.00 a day should easily cover your food costs. Hotel: Rooms at Cherai Beach Resorts cost from about £65.oo per night to £170.00 per night. The cheaper bungalows are very comfortable and air conditioned. You can also save money by sharing with another delegate as rooms are sold on a per room basis rather than a per guest basis – 2 for the price of one. The Cherai Beach Residency is a smaller hotel only 200 yards up the beach from Cherai Beach Resorts. Rooms there start at only £28.00 per night. Beer. Kerala is a sort of “dry” state. However, Cherai Beach Resorts and several other nearby bars are licensed to sell alcohol. Book now and get an Early Bird discount of 50%. Share a room with a friend and save up to 50% on your room costs. If you have attended a previous workshop with David Ferrers please ask about the very special “Helper” rate for the workshop. 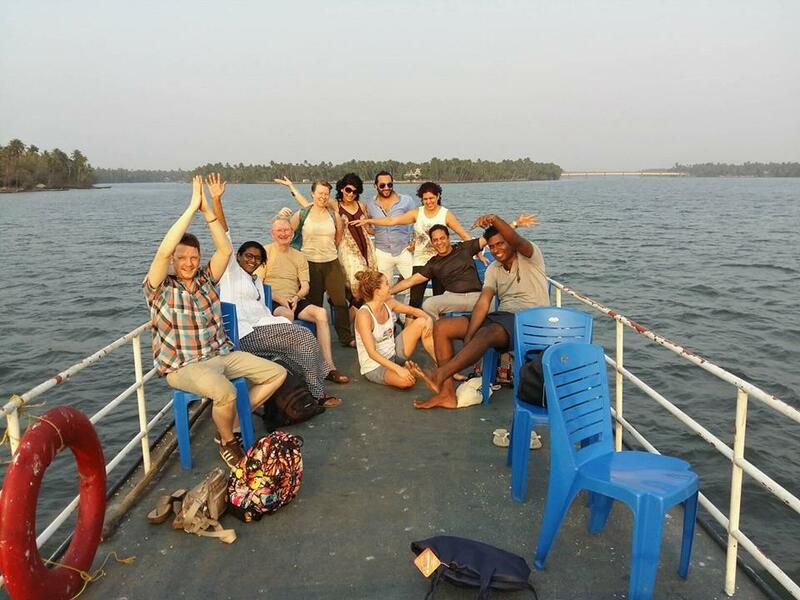 Don’t miss out on the 2018 Experience Camp in Kerala – book now!